Whimsy by Shellye: Put A Cork In It! was to use the theme "Put A Cork In It" on a project! I knew this would be fun as I'm so in love with any of the Naturals elements. 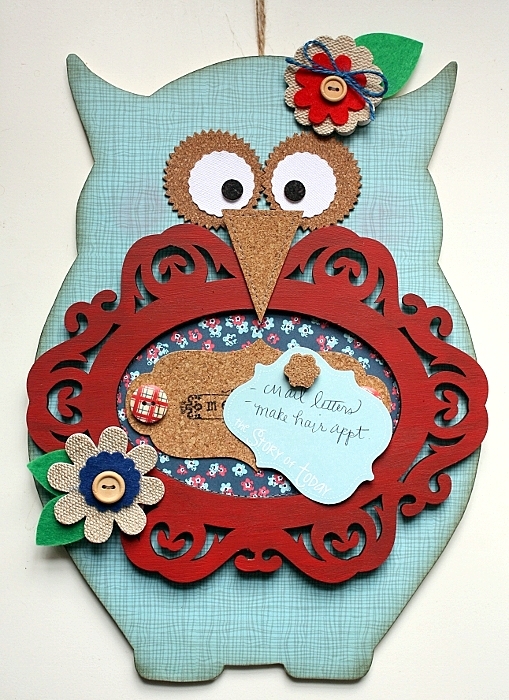 When wooden pieces go on sale, I like to grab up several different types for creating altered projects. Linen & Lace - Aqua/ Tiny Stripes Aqua from the Just Because Collection. I inked around the edges in brown and then adhered with a high-tac liquid glue. Next I painted the scrolled frame in red and then made an inset for it from Tiny Blossoms, Birds & Blooms Patterned Paper. To the back of it I added an extra sheet of cork (from my stash) to make the bulletin center thicker. For the eyes I layered the Canvas Shapes - Scallop Circles with Zig-Zag Round Cork Shapes and then colored in two of the cork circles with black marker for the inner part of the eyes. 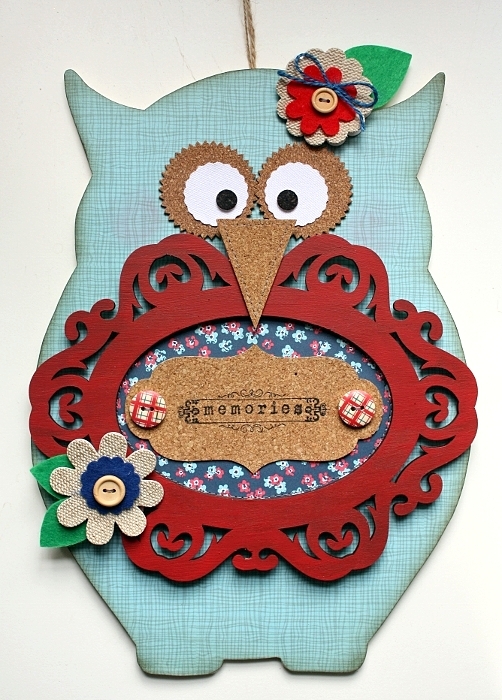 A couple of the Natural's Zinnia Layered Burlap Flowers dressed up this sweet Bulletin Board Owl! 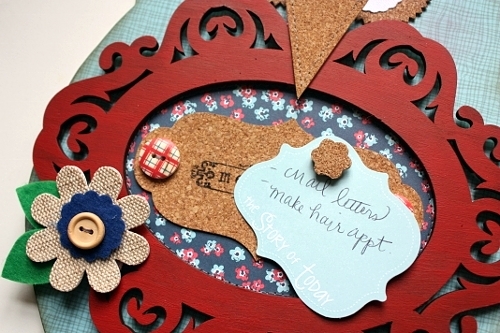 To make the push-pins, just take a flat thumb tack, a glue dot and one of the tops from the Cork Hearts Stick Pins. I attached the scrolled cork sticker from the Natural's Cork Stickers - Plates & Flourishes along with two of the cute Printed Wood Buttons on each end. Then, I played around with the LYB Clear Stamps on my little owl corkboard and was able to fit in one of the scrolls from "Vintage Banners" and then centered a sentiment stamp from "Birthday" to the middle of it. I used a Staz-On ink and it worked like a charm! Fantastic piece! I love the cork and burlap! 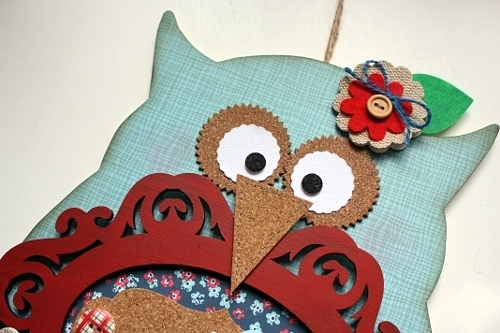 What a cute little owl. Made me smile. I just love owls and this one is adorable! !